Many of you who read this will recognize Igor Klishchenko, minister to Russian orphans in the Kaluga region of Russia. 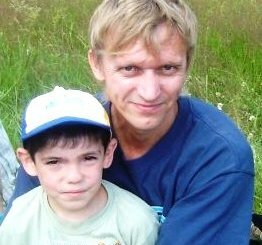 Igor is one of very few Russian men who are involved in full-time ministry to orphans. Children who spend their lives in orphanages very much need a father figure in their lives. As Igor says, "If orphans need a father's love, I will take it to them." Also, he shares with orphan children about their loving heavenly Father and how they can be a part of His kingdom. As we write this, Igor is heading into a very intensive 10-day camp for orphans. He asks that we pray for him and his ministry as he goes forth. As Igor wrote to us today: "The next 10 days will be difficult but it is very welcome!" Igor has a very busy and intense schedule working with orphans. The Leadership Forum and the Summit would provide an opportunity for him to experience refreshment and renewal, to learn about other orphan ministries, and to share his experiences with others. Some friends of Igor in the USA are raising funds to help buy his airline ticket. Cost will be about $1,200. If you know of anyone who is interested in donating to help get Igor to the Forum and the Summit, can you let them know about this posting? For convenience, here is a link to our donation page for Igor . Or you can click on the GIVE button to go to our secure online donation page for Igor. You can read more about Igor's ministry to orphans and his testimony by clicking here.